Charlottesville residents and former UVA students may remember Sneak Reviews—a beloved video rental store known for its collection of art and cult films, indie films, documentaries, foreign films, classic films, and critically-acclaimed television shows. It was just down Ivy Road from central Grounds and supplied both town and gown with the best video titles for many years. Sneak Reviews shuttered in 2014, but thousands of the titles once belonging to its eclectic collection can now be found on the shelves of Clemons Library. 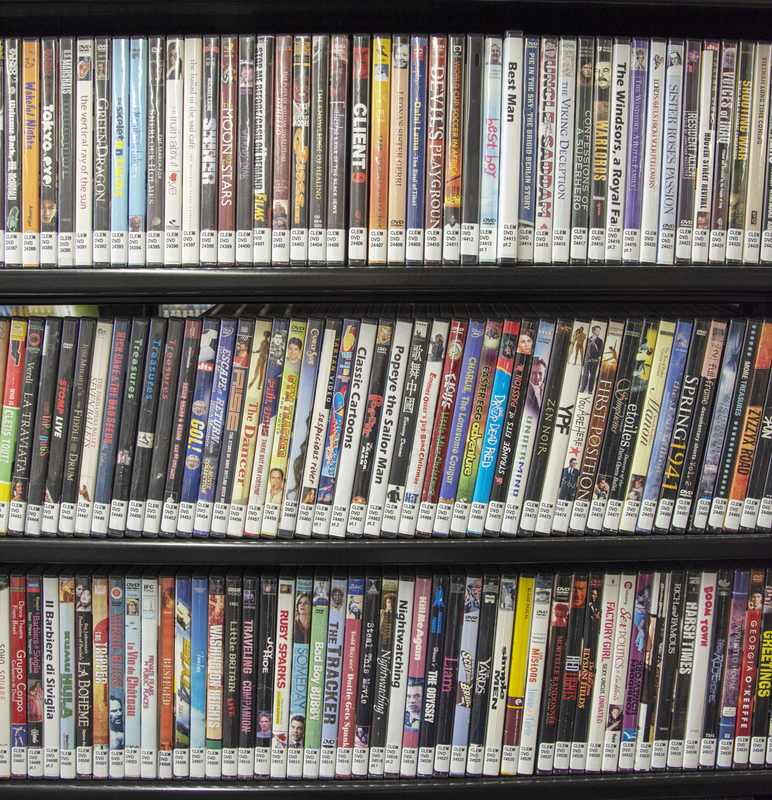 When the local landmark went out of business in 2014, the Library saw an opportunity to improve the contents of its already wide-ranging video collection and acquired approximately 10,000 Sneak Reviews DVDs. Titles were selected based on a number of parameters, including scarcity, relevance to the curriculum, and appeal to diverse communities. The biggest additions to the existing collection are films about LGBTQ issues; music and concert videos and musicals; and popular feature films. Processing all of these titles has required the labor of a number of Library departments over several years, but in fall 2018, the Sneak Reviews DVDs were on the shelves and ready for check-out. The Sneak Reviews collection (which can be browsed in Virgo) enhances and enriches the Library’s video holdings, which now number more than 60,000 DVDs and streaming videos, split about evenly between the two formats. The Sneak Reviews collection (and all other DVDs in the Clemons collection), are now available for checkout to all Virginia residents at least 16 years of age. This entry was posted in Announcement, Featured Resource, News and tagged Clemons Library, community resource, dvds, indie films, movies, Sneak Reviews by Jeff. Bookmark the permalink.